Now days the rise of inflation and increase in the rate of unemployment has made every person to think about his future and career. If the career you choose is right then it will bring a long period of comfort and satisfaction in your life. If the career you choose is not correct then it will bring a lot of problems and results in wastage of time and effort. Q: Which Engineering Has Best Scope in Pakistan? After HSSC many students in Pakistan are interested in engineering and want to start their career as engineer. There are many fields like mechanical, Electrical, computer and students are confused to choose which field of engineering best for me?. All fields have approximate same growth and scope. The only need is to choose field according to the present and future conditions. In Pakistan currently the job scope is more in Electrical and electronics engineering but Civil engineers are paid high as compare to electrical and Electronics engineers. A branch that deals with the designing and making of substantial and mother nature that includes canal, houses, huge buildings, bridges on river and roads inside the country. 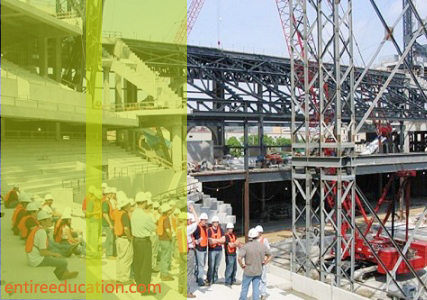 Civil engineering is most broad and oldest field of engineering. It is very hard to classified the field of civil engineering. Mechanical Engineering is the branch that deals with the design and making of tools, machines and other mechanical equipment. This is also very broad field. A mechanical engineer can be specialized in thermal, design and production engineering. Electrical and Electronics is also one of the famous branch in Pakistan. It deals with electricity and related products. It has also a sub category that is telecom, which deals with the communication systems. Software engineering normally lies under the discipline of computer science. It deals with the making of software and OS for computer systems. In Pakistan this field is also growing very rapidly. In coming future it will also become one of the main branches like civil and mechanical. Must See: Which University is Best for Software Engineering in Pakistan? All these fields are the branch of science that deals with the construction and maintenance of machines, devices and systems. It is sub categories in many fields like civil, mechanical, electrical, telecommunication, environment and software engineering. In Pakistan Scope of electrical engineering is more in job but in pay Civil Engineer are paid high as compare to any other fields. Minimum 65/90 for admission Software Engineering. fsc part 1 is 87% and i suppose to know that if i score 70-80 marks in nts then their is any kind of scholarship or fee concession in comsats islamabad? Comsats is one of the best and leading university in Pakistan in terms of IT like Software Engineering. SO, I suggest you that after Fast you prefer Comsats Islamabad. sir can you plzzz tell me which field is more scope icma or acca..
ACCA is more better then ACMA. I will clear you a one thing that it’s ACMA degree offered by ICMA. ACCA is the degree which is acceptable in all our the world. Apart from this ACMA will not more preference then ACCA. So, Finally ACCA is the best if you go for this. Every year merit is different we have not ask you any confirmed figure of merit but it is close of 73%. If you have get good marks in entry test than you easily get admission in software engineering. fsc part 1 marks 71%.matric 75%.if any chance in ist islamabad. Yes, you have chance of admission IST ISlamabad. If you have get good marks in entry test. Than you chances of admissions is increased. Yes, you get admission in BSCS department but its all depends on merit. Every year merit is totally different. Sir i got 87%marks in F.sc and how many marks are required in NTS to get admission in Aerospace engineering from IST. You must score 75% marks in NAT Test for get admission in Aerospace Engineering in IST. Thanks sir. Is there any chance of scholarship for me in IST. Yes, IST offered scholarship for the deserving students. IST offered 3 types of scholarship one is 100%, 50% and 25%. So if you get good marks in Entry Test than apply for scholarships. sir mery dae ma 67% number ha kia ma civil ma mujy admistion mil sakta ha? Yes, Saba you apply for admission in both university. Fast is far most best than IIU Islamabad. So, finally you apply for both universities. Last Date of From Submission in Fast is 30 June 2014. Last Date of Form Submission in IIU Islamabad 15 July 2014.
sir i got 63% marks in F.sc part 1st can i get admission in Air university. Yes, if get good marks in entry test than you easily get admission in Air University. sir i am so confused about my carrier i got 829 marks in fsc now i improve 2 subject … which university i can got admission in bs accounting and finance plllllzzzzz help ….i am able to get admission? UCP, IBA Karachi and Virtual University offered BS Accounting and Finance. You would assort one for study. I want to become civil eng . Can you tell me which uni is best for civil eng …. which university is best for BS physics? comsats sahiwal me BS physics n BS mathematics krwaty han? sir which universities offered ba.llb hons in lahore??? sir my marks in fsc part 1 are 395 and in nts 52….can i get admission in any engineering university in Lahore? Yes, Asif you get admission in Engineering but University of Lahore has not accept NAT Test for admissions. UOL conduct his own entry test for admission in engineering. Yes, you apply for Civil Engineering in Pakistan University. Currently Nust Admission is open but you apply with late fee to till 04th July, UOL and Superior Admission is open now. Superior Admission Date till 16 July 2014.
is UCP conduting its own entry test? What is the fee structure for bs engineering programs in UCP? What is the last date of entry test for ucp? Yes, UCP conduct his own entry test. Dear, Civil Engineering is also best. Mecatronics also known very good field in engineering. Electrical Communication Engineering. Best future in Pakistan is for Civil, Electrical Communication Engineering. But I suggest you Electrical Communication Engineering from UET Peshawar. Scope for Electrical Communication Engineering in Pakistan is good telecommunication and electrical this is too good. sir how many marks are needed in university of lahore entry test to get admission in software eng.? You must score 75% marks in entry test for admission in UOL Software Engineering. Dear, Fast Electrical Engineering is best scope in future. Specially in Dubai and other developing countries. Each engineering field give you good job after experience of minimum 5 years. Engineering when completing his degree not find a good job in his 3 years after degree but skills, knowledge and abilities will change your life in minutes. Apart from this if you want to change your field then Petroleum engineering is one of the best field in engineering. So, I suggest if you want to change your field then move for petroleum engineering. Many oil and gas companies offered better job placement. Specially, in Dubai, Abu Dhabi high salary packages should offered to petroleum engineers. But in last if you have skills and abilities then you easily get job after Petroleum engineering. Sir my fsc marks 68% and nts 55.kia comsats mi civil engineering mi admn milay ga.
Dear, every year merit is totaly different when merit is final then you see your status. i got 75% in F.sc, so what field is best for me… nd i interested in civil engineering.. but kia civil eng ki demand out of country ma hai kia..??? Yes, waleed civil engineering is one of growing field in Pakistan and foreign as well. You go for Civil Engineering the most superior field in all engineering. Last Date to apply for which course in which university? sir,what is procedure foe apply and plz tell me what is last date for apply? Yes, you get admission in Aerospace engineering. You score is good for admissions. Which uni is best in punjab for engeenring ??? Sir my Fsc-1 score is 73% and metric score is 77% and nts score is 60 what is my chance of getting admission in comsats for software engeenring and how much i have to get marks in nts for securing admission in IST ?? Yes, you have better chance for getting admission in Comsats for Software Engineering. Every year merit is totally different so we not give any exact figure of merit. FSC-1 73% Metric 77% nts score is 60 is there any chance in software engineering comsats(islamabad) and how much minimum number is require for securing admission in IST ?? You check the merit list where it should be fall. For admission in IST how much marks in NTS are required ??? For Admission in IST you have 75% NAT. I have 70 marks. Do I have a chance ?? Dear admin plzzz tell me the 2nd merit list of CIIT uploaded or not plzzz reply me as early as possible. Dear, both universities admission are closed now for 2014. You apply in new admission of Comsats Spring 2014 and FAST Fall 2015. Sir mene computer engineering karni hai to ap bta dein kon c uni best hai ya konsi university karwa rahi hain. or sir mene gcu lahore mein apply kia hua hai.or uet lahore mein. For these three institutes NFC Multan and Comsats Sahiwal known best. But best university in Pakistan for computer engineering is FAST and after this UET Lahore. So, it’s your decision either you go for which university. sir kindly ye bhi bta dein ke BSCS best hai ya Computer engineering. Actually mene computer engineering karni thi lekin hamary reletives hain wo keh rahy thy ke is engineeringbka koi faida nahi ap BSCS kar lo. Electrical Engineering is best then mechanical engineering in HITEC University. Dear Admin what is difference between Electronics and Telecommunication engineering and in Future INSHALLAH which one will be most demanding. Electronics field is much more different from telecommunication field. But in future Electronics field is best than telecommunication field. Telecommunication is also best but electronics is known best in future. Electronic Engineering is vast future in electronic field which include new electronic invention day by day. So, you have good job placement in electronics field. Finally, I suggest you to go for electronic field either than telecommunication. Last its your decision. BS Electronics Engineering has a good and very vast scope in future. You don’t change your field. This is known best in electronic field. In future you field some good job placement in electronic companies of Computer, laptops and TVS also others. This is one of the major field and growing electronic business in world. Electronic is the field which lead world. So, Finally I suggest you never change the field and hope for best with your skills and knowledge. Dear, you name the course then I will guide you. Yes, you get scholarship on merit base. Comsats offered many scholarships to the needy students. You apply for admission and get scholarships. Sir mere metric me 71% aur fsc 76% marks hn mujhe konsi university me admission mil sakti hy aur mecahnical engineering ke scope k bare me thore se info de aur mujhe mechanical me admi mil sakti h?? Dear, you apply for Mechanical Engineering in Wah Engineering College and HITEC University. University of Punjab is known best and UET Peshawar if offered this course. Petroleum Engineering is one of the finest degree in engineering. Many Oil and Gas companies of Pakistan and Foreign countries prefer the student who have graduate in Petroleum. This is best field in engineering currently now. So, I suggest you that petroleum engineering is best for you. This is only degree which give you high salary packages at start round about 1 lac. So, if you have skills then go ahead. Many jobs in Dubai for Petroleum Engineering. dear.admin plzz tell me that petroleum engineering is best of one that all engineerings..? and also tell me how is civil engineering..? Both engineerings are known best according to their scope. But Civil Engineering is much better scope than Petroleum Engineering. Due to the fluctuation of oil prices in international market. Several multination companies defined and face saviour problem. However, Civil Engineering needs the experience to get job which pulls you in supreme future. On the other hand, Petroleum engineer got a high salary package if found the job in reputable institutes. Its depends on your interest, but in future civil engineering is growing field than petroleum . Also please guide me on this regard that is UET Mardan good for Software Engg? Yes, dear UET Mardan is also good for software Engineering and Mechatronic as well. Both fields are good software Engineering and Mechatronic. Both degree as its own importance in future. Dear, you proceed you study in Pre-Engineering then after this you go for Petroleum Engineering, Civil or Mechatronics. Select from all three but Petroleum is best then all three. ASSALAMUALAIKOM WARAKHMATULLAH,Sir please guide me which field of engg could have high for the next 4-6 years in asudi arabia. Please guide me on this regard i shall be very thankful to you. In Next coming 4 to 6 years Petroleum and Civil Engineering is known best in Saudia Arabia. But Petroleum Engineering is far most better then Civil Engineering. Because Civil Engineering is much better scope in Dubai and UAE other states. So, I suggest you Petroleum Engineering, good future with attractive salary packages. Hello to all please tell me the future of Telecom and Electronics which one i wanna choose? Both degree are best but electronics engineering is good scope then telecommunication engineering. Electronics engineering is good and bright future in Pakistan and other companies as well. Student having electronics Engineering get good job in many electronic companies like Samsung, Sony, Intel and also in foreign countries with your great skills. So, Finally i suggest you for electronics engineering. Sir please tell me which field is best for engineering if i want to stay in Pakistan??? You stay in Pakistan then software Engineering is known best for you. Sir electrical and software engineering… which one i choose from both of these ??? Both fields are too much different. Electrical and Software Engineering. But I suggest you a Software Engineering if you apply for this then should be good future for you. You should do you independent work. Thanx … Sir which university is best for software engineering ??? For software engineering which universities are best??? i have done my engineering in telecom from uet peshawar and i am jobless for the last one year. what should i do? any advice? Dear, my advice is that to you that you apply in telecommunication companies and find job of any designation not looking the salary. You just find a job once find a job then get experience and should apply in foreign. Hope you understand my statements. Sir which engg is best scope in future in Pakistan, electronics engg or software engg?? Electronic and Software Engineering both are best dear. Electronic Engineering has good scope in Foregn but software Engineering has much more better than electronic engineering. So, Finally I suggest you software Engineering. Sir my matric marks are 89% and fsc marks are 87% and i want to do petroleum engineering from UET lahore. Plz tell me how many marks must i take to secure my admission? sir, I have got 71% in matric and 77% in fsc part 1eng from aku board. Now I am confused to get admission in same engineering field but please tell me about engineering fields and their correspondingly top universities for them. (and that field should have scope in pakistan and abroad). I will be very thankful to you for my guideness and really need guideness. According to my piont of view Petroleum Engineering is one of the best from all engineering. This engineering has much better scope in Foreign and Pakistan as well. Best university for Petroleum Engineering is Punjab University. Chemical Engineering and Electronic Engineering is also good if you can’t go for Petroleum Engineering. Petroleum Engineering has good job placement in Oil and Gas Companies and giving you a good salary package. sir i got admissin in maju in electronic engenring plz sir tell can i take admisn there or not. And electronic eng have scope in future or not ? Electronic Engineering is one of good field and bright future in Pakistan and other world as well. In addition electronic is only field which give some new creation and explore some new horizon for you. If you have good knowledge, skills and abilities in this field then you easily get good job in best electronic companies of the world like Samsung, Apple, Sony and much more. Finally, proceed your study in Electronic Engineering. sir i hve got adm in comsats but i’m still confused to go with CS OR ELECTRICAL computer engineering .can u plz guide me which one is better for me….. I suggest you Electrical Computer Engineering this field is best and good then BSCS. Electrical Computer Engineering is best because this degree has reveal some new concept. Yes, it possible for to get admission in Computer Engineering. Your marks is good for computer Engineering. sir i got 81 percent marks in fsc part 1 can i get admission in quaideazam uni for BS electronics.is there nts require for taking the admission? Dear, For BS Electronics NAT Test is not required. sir also tell me which engineering earn more from these three computer mechanical or electronic engineering? Eachs single engineering has best scope in future but computer engineering is far most better then all other engineering. Civil and Mechanical Both are best. But I suggest you to go for Mechanical Engineering from NUST. This will be better for you. Computer Engineering and Software Engineering both are best field. If you get admission for Computer Engineering in UET Lahore or FAST then this is best for you. If currently not then go for software Engineering. Software Engineering is renowned field in IT new concepts and technologies with the passage of time. Software Engineering in which you independently do your own work. Finally, Soft ware Engineering is best if you cannot get admission for computer engineering in FAST or UET Lahore. sir private sector main university of lahore kaisy ha?? sir i want to do mechanical engineering.so tell me which is better uow or uoL? Both are so good But University of Lahore is far better then UOW. Honorable sir, my son has passed HSC II Examination with 83% over all HCS part I and HSC part II percentage is 78%. he is confused regarding future pls let me inform which engineering is best ME, CE, for Pakistan and abroad and which institution is best. I suggest you Chemical Engineering is best if your son is interested in this field. This is one of the best field in engineering. Future scope of chemical engineering is Large multinational companies of Medicine and much more. So, Finally chemical engineering is known best for your son. Best University in Pakistan for Chemical Engineering is University of Punjab, UET Lahore, NFC Institute of Engineering & Fertilizer Research, Faisalabad and Comsats Lahore Campus. University of Agriculture is best then GC University Faisalabad. Top leading university in the world in the field of Agriculture. So, Finally UAF is best. Yes, Minning has good scope in Pakistan. This is great field of Engineering. Dear, Material Engineering is best for you from IST. Material Engineering is one of finest degree of future. Materials engineers are involved in the development, processing, and testing of the materials used to create a range of products, from computer chips and aircraft wings to golf clubs and snow skis. They work with metals, ceramics, plastics, semiconductors, and composites to create new materials that meet certain mechanical, electrical, and chemical requirements. They also are involved in selecting materials for new applications. Finally, I suggest you Material Engineering from IST. I’m doing A level’s from Beacon House School System in Pre-Engineering.I am interested in Mechatronics.What is scope of such engineering in Pakisatan & what grades I have to get to take admission in any best university. If you want to apply for Mechatronics then its good and bright future in Pakistan and foreign as well. Best universities for Mechatronics in Pakistan. There is a lot of scope of Mechatronics Engineering in Pakistan as it incorporates the ideas of electronic and mechanical engineering into one entity and covers those areas of engineering which is concerned with the increasing integration of mechanical, electronic and software engineering into a production process. It takes the principles of electronics, mechanics and computing a design a simpler and more economical system. which engineering is the suitable most for girls in pakistan? Software Engineering is best for girls in Pakistan. i wanna join uet lahore and it isn`t offering software engg..what about mechatronics? moreover m a chemistry student so i dnt wanna carry computer science in future .. Yes, amna Mechatronis is also good and top leading engineering of future. So, if you have not interested in IT field then don’t be panic regarding this. Mechatronics is having good scope in future in different companies. So, Finn ally go for Mechantronics. If I have to choose between Comsats, UET Peshawar, and NFC Faisalabad (Uet lahore), which one would be best for the electrical/electronics engineering. Your much-needed advice shall be highly regarded. Thanks. For Electrical or Electronics Engineering UET Pehawar and UET Lahore is knwon Best. But form all these UET lahore is best for Electrical/Electronics Engineering. Yes, you apply for UET Taxila for Software Engineering. Last Year merit of Electrical Engineering is not remember. Telecommunication Engineering is good and wide scope in future. Increasing demand of Telecommunication services in the world may give a new horizon to telecommunication engineering. Secondly Electrical is best then mechanical Engineering. Finally, if you interested for telecommunication engineering then go ahead otherwise go for Electrical. Has Food engineering a good scope in coming years,here in Pakistan? All Engineering fields are good. But it’s all depends on your interest that you select which field for you. In addition, Food Engineering is good and best field. Good engineering is a combination of science, microbiology, and engineering education for food and related industries. Food engineering includes the application of agricultural engineering and chemical engineering principles to food materials.The prospective major employers for food engineers include companies involved in food processing, food machinery, packaging, ingredient manufacturing, instrumentation and control. Firms that design and build food processing plants, consulting firms, government agencies, pharmaceutical, and health-care firms also hire food engineers. Hence if you are interested in this field please do go ahead. Finally, if you interested for this then select this. Apart from this Textile Engineering is also best but place in 2nd Priority after Food Engineering. Form all these engineering Electronics, Computer Scienc & Information Technology and Civil are best. For Architecture Engineering University of Lahore is best. Architecture Engineering is best then software Engineering. NUST University also best and Superior University as well. civil eng is best for girls? No, Civil Eningeering is not best for girls. For girls Computer Engineering, Software Engineering, Electronic Engineering are best. sir mera admission comsats main ho gia tha software engineering main M.A ..but main ne wahan admission ni lia….and now m thinking of doing the same engineering from uet taxila…so is that good or not ??? coz mujhe us waqt ni pta tha ke comsats best hai SE ke lie…I mean uet ka naam/level bohat zada hai as compared to comsats!!! Sir my F.Sc marks are 87% and my agregate for ECAT is 76.706 can i get admission in PU for Petroleum? Yes, you have much better chance of admission in Petroleum Engineering. I want to get admission in petroleum engineering but due to difference of 5 marks i will not get the admission in PE but now according to me if i prefer electronics to industrial engineering than what admin suggest? So, I suggest you electronic Engineering. Both Degree are knwon best BSIT and BS Software Engineering. Basically BS IT is related to Networking Field and Software Engineering is related software for new companies. So, I suggest you software Engineering is best if you chose this field. architecture engineering or software which one is best for girls? I gonna to take admission in fatima jinnah uni and in jinnah uni only three field are available for engineering that is software, computer science and IT and plz tell me which field is best for girls and any other uni in which admissions are not close so plx me… ? From all these engineering BS IT is best related to networking. Secondly Software Engineering is also but I suggest you BSIT. my daugheter got 76% in F.Sc, how much percent She should require in NTS to get addmission in NED.& which one is the best field for girls, Archetechur,Medical Engineering,Bio medical engineering,software ? From all these engineering Architecture Engineering is known best. I suggest you Architecture Engineering one of the finest engineering for girls. Secondly if you were not interested for BS in Architecture then go ahead for Software Engineering in 2nd priorty. Civil and Aerospace both are best fields. Both degree has good future in Pakistan and Foreign. So, according to your interest you selec one field from these two. Civil Engineering is best if you select this field. In upcoming day Civil Engineering is better scope in Pakistan and Foreign as well. SIR WHICH HAS MORE SCOPE IN PAKISTAN?COMPUTER SCIENCE FROM FAST IR MECHANICAL ENGINEERING FROM UET LAHORE? plz tell me only one best engineering and its scope in pakistan. I want to do aerospace engineering from IST but my uncle urge me to do mechanical, electrical or civil engineering from UET. sir i got admission in mechanical eng is this field is best if i study from cecos university peshawar??? Yes, this field is also best and good. Sir which has more scope in Pakistan. Dear, BSCS from Fast University is best as compared to Mechanical Engineering form UET Lahore. IT field is best if you interested in this field. BSCS is one of the finest field. So, I suggest you to go for BSCS. Yes, you get admission in Mechanical Engineering but every year merit is totally different. You aggregate is good but let see where merit fall. Sir i got admision in ucp mechanical engineering and in case islamabad in electrical enginering …. Which university should i choose ??? I am very confuse plz guide me i have no issue with ME or EE i am woried about university?? Which is good?? Dear, Case University is far most better then UCP. I suggest you Case University for Electrical Engineering this is one of finest university in Engineering. Faculty of CASE University is qualified and skilled. So, without wasting time go in CASE University of Electrical Engineering. Best of Luck. sir what about mechatronic engineering..? But I like Petroleum Engineering because this field has best scope in future specially in Oil and Gas Companies. Finally, dear I suggest you for Petroleum Engineering. what would u say about telecommunication in pak. This field is better scope and good future in Pakistan. There are so many telecom companies operated in Pakistan. In future the growing business of telecommunication may lead new opportunities for you. Finally, Telecommunication Engineering from CIIT is best and good for your bright future. 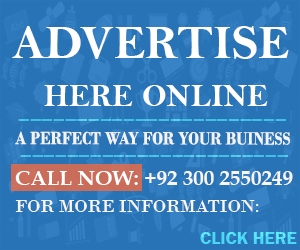 Apart from this your skills and knowledge will give you strength in market for good post. Comsats is also best university for Civil Engineering. In these two universities Iqra University is best for software Engineering. Both degree are known best but Charter Accounting need more hard working than Civil Engineering. If you have good in maths or accounting subjects than I will recommend you to go for CA. However, if you not have good grades in these subjects than straight away proceed your study for Civil Engineering. Finally, both are known best but I have you clear picture of both degree and decision is on your. Dear, all degree are good for BS in Computer Engineering form FAST is much better and give you great future in IT. This is finest degree as we compared with others. So, I suggest you to go for BSCS from FAST. Sir which has more scope in Pakistan.Bs in Cs from Fast or Mechanical engineering from Nust or Mechanical engineering from Nust. sir i have got 58% marks in intermediate… now want to continue engineering but my score is not that much good for endineering… do i have chance for thif any field in engineering and if i have that chance than which university will be the best for this? after NED…. Yes, dear you apply for BS in Electrical Technology this is updated field then electrical engineering. Dear, you apply for this program in many universities. Sir kindly tell me which is better University for Bs in Cs. FAST university is best for BSCS form all other universities. I got admition in both electrical and mechanical engineering in UMT but now I am confused which engineering to select.can you suggest which engineering has more scope in future. Dear, you select Electrical Engineering for good futre. Electrical Engineering is best as compared to mechanical. In upcoming days electrical engineering demand as increase now. So, Finally I suggest you Electrical Engineering for bright future. Food Engineering is a good field and has best scope in Pakistan. Sir I am confused between Cs or Electrical engineering.tell me which is better? Dear, I have guide you regarding this Electronic Engineering is best. i am so interested in civil and architectural engineering but scope of electrical very more.what i do? Dear, If you have select degree from these then Architectural Engineering is best from all these engineering. Architecture engineering is better scope then all others engineering. So, Finally I suggest you for Architecture Engineering. Dear, Qamar I suggest you to go from Electrical Engineering from University of Sargodha. Faculty of UOS Sargodha is skilled and qualified from UET Lahore. So, Electrical Engineering from UOS is best for you. Dear, you will apply for many university in Pakistan for B.TEC or BS Tech. I took admission in Aerospace engineering at IST but due to lack of interest and adjustment in Islamabad I droped it. Now I am planning to do Bs Electrical Engineering (electronics) from CIIT as I have interest in Electric. It is a dual degree program. Do Comsats degree has worth? I have scored 85% in Fsc. Dear, Farhan if you get admission in Comsats for Electrical Engineering then you will select a perfect way for you. Degree from COmsats will have worth in the market. Secondly, if you have skills and abilities then you easily get job in market. Finally, there is no need to change the university you will contineu your study in Comsats. Good Luck for good future. assalam o alaikum sir, sir i am really want to know that is it textile engineering technology is good or IT.please tell me also that which university is good For BS IT.Sir I am also selected in BS TEXTILE ENGINEERING TECHNOLOGY at NTU Faisalabad.Is there any scope of this field. Mechanical or Electrica,l Sir, which field have good scope in Pakistan . Electrical Engineering is best for then mechanical engineering in Pakistan. sir i was intrested in electrical engineering..but unfortunatly/fortunatly i m selected in electronic engineering in iiui wd scholarship….what do u thnk about my career in electronic? is iiui is the right place for doing electronic eng??? Dear, if you selected form Electronic Engineering then this is also a good field and best for you. Electronic Engineering is vast scope in future. Your career will be in good way. So, study Electronic Engineering with positive mind, gain skills and abilities and then go for good job placement in future. Sir me telecomunication and ndtworking ma admision kia hai cecos univsty peshawar me kia telecom acha hai??? Sir is civil engineering best or Mechanical enginnering for future? For Future Civil Engineering is best. I’m Confused;Can u tell me Telecom Engineering From UET Taxila is best or Mechanical engg. from NFC Faisalabad??? Dear, if you go for Telecommunication Engineering from UET Taxila then it’s best for you. Telecommunication Engineering is good scope in future in Pakistan and Foreign as well. Yes, dear you will go for migration but each university has different rule for migration. So, you will confirm regarding migration from Iqra University Admission Student Affairs Department. is bs cs is beterrr than telecom n computer engenering??? Dear, Uzair both fields are totally different. BSCS is completely linked with Computer Sceinces and Computer Engineering is different. So, Computer Engineering is best then BSCS. Computer Engineering has renovated degree in future with increasing demand of networking. Pakistan mein sab se zyada kis filed ka scop hai. It mean k knsi filed best hai k ap ko sure ho k ap is k bad kisi stage pr zaroor phnchen gai. Dear, All fields has best scope in Future. But BSCS, BS Software Engineering both are best fields. Secondly, if you want to go on management field then BBA is also best. But I have suggest you to go for software engineering if you previous qualification is related to IT. Now please suggest me which field is best for me…..
And Tell me that I.T Bs have any scope? What kind of jobs opportunities this feild have.? How much Math contributions in it? which 1 have more scope in pakistan telecon or computer engenring?? Dear, Uzair I have suggest you a Computer Engineering is much better then Telecommunication Engineering. If you have good computer skills then go for computer engineering one of the best field of IT ever. Future of Computer Engineering is bright if you have skills and work good for companies. can i do softwhere engenering after fse engenreing?? Yes, Dear you will apply for Software Engineering after FSC Pre-Engineering. The average salary for an Automotive Engineer is Rs 402,447 per year. Most people with this job move on to other positions after 10 years in this career. This is one of best field through which you design vehicle, cars and trucks. This degree has better and future job position in Honda, Toyota, Sazuki and other multinational companies in Pakistan. Finally, the future is found to be a good for this engineering. fast islamabad ki civil engeniring kesi ha?? FAST Islamabad not offering Civil Engineering. Civil Engineering is offered by Lahore Campus and this is best engineering faculty of FAST. Dear, Civil Engineering and Electrical Power is best engineering if you select from these. But Electrical Power Engineering is much more better future. Chemical Engineering kaa kia scope and salary hai aur ziada tar students especially girls kis engineering ko prefer krti hai. This is one of best engineering from all engineering. Girls mostly prefer Software Engineering but if you interested in Chemical Engineering then this is one of the best field if you go for this. Chemical Engineering has best scope in Future. Job placement for Chemical Engineering are in medicine companies and specially in other solutions. So, Finally if you go for Chemical Engineering then its good for you with salary package of 50 plus starting. fast islamabad spring me open hti h?? n woh softwere karwa rahi h n kesi h softwere waha ki?? FAST Offered admission once in a year. Sir i am confuse in either choosing civil enggneering or chemical engg.. And sir plz give me some information about universities in KPK facilitating chemical or civil enggneering..
Dear, both degree are best but Chemical Engineering is far most best the Civil Engineering. Chemical Engineering is difficult and highly concept base. Chemical Engineering is good job placement in market. Then I have suggest you for Chemical Engineering. Thank u sir for this information.. sir kindly let me know what are best universites offering chemical engneering in pakistan..
Sir does comsats abbottabad offers chemical engineering if so is it of good standard? Comsats Abbottabad not offered Chemical Engineering. tel me about the scope of electrical computer engenering from comsats? This Engineering is best and perfect job position in Future. Electrical Computer Engineering is the combination of Computer Subject with Electrical Engineering. So, the new renovation degree has give you a best job opportunity in Future. Finally, go ahead for this degree with positive mind. Telecommunication Engineering is also good scope in future. But if you interested for this then go ahead. But if you get choose from Electrical and Telecommunication then I will suggest you Electrical Computer Engineering remarkable degree from comsats. Sir kindly suggest me some good universites for chemical engineering in pakistan.. Thanks! College is the company which offered three books. Apart from NUST, GIKI there are also best universities which offered BS Mechanical Engineering. Physics, Chemistry and Math all three subject is important for entry test good score. For Admission in Engineering you must have 60% marks in FSC. Computer Engineering is best from Fast then Software Engineering. And if not from fast then? If you want to apply for HEC Need Base Scholarship then HEC will highlight your expenses of home. Apart from this after offering scholarship you will need to stable your CGPA at 2.7. Which field has good career in Pakistan? All Degrees are known best. But BS Mechanical Engineering from Nust is far most better then all. If you get admission in BS Mechanical Engineering in NUST then its good for you. Otherwise go for BSCS from FAST on 2nd priority. Dear, Ameer if you go for specialization in Power then it will be best option for you. Power is best and give a good chance in the market. BS Petroleum Engineering is far most better then BS Mechanical Engineering. Petroleum Engineering has better job opportunities in Pakistan and foreign as well. In addition, Petroleum Enigneering Degree has high market demand in Pakistan and specially in Middle East Countries. I have reply your question. You want to know about the Semester Fee for which program. Sir what university we should choose if we want to do petroleum engineering??? I suggest you to go for Electrical Engineering. Petroleum Engineering is one of the finest degree according to current situation. This degree has best job opportunities and appealed salary packages offered in Pakistan by Oil and Gas Organization. In addition, better job scope in Middle East Countries. You will register for LUMS SAT throuhg LUMS Official webpage. Above I have detailed regarding how to register for SAT Test in Pakistan. Deadline for LUMS Sat score is 24 Jan.
sir,i have done fsc pre-medical and now preparing for additional math paper..iwant to ask u that whether i should do civil engg or biotechnology..plzzzz help me i am confuused..
Dear, Umer if you go for Civil Engineering then it should be highly good for you. Which university is best for petroleum engineering???? UET Lahore is best for Petoleum Engineering. How many number of seats uet Lahore offered for Karachi students in petroleum engineering ??? petrolium engenring k lyee konsi uni opn ha is wkt?? Currently, admission are for Petrolium Engineering has been closed in universities. Admission for Petroleum Engineering has been announced in month of June/July 2015.
electrical telecom from comsats kia scope ha agy iska? Yes, this field is also better scope in future in Pakistan. sir is pertroleum engineering good for females? Yes, Petroleum Engineering is also good and best for females. is there any scope for girls in pertroleum engineering? is NED good for doing this? Yes, this field is also very good for females. NED is also good university for this degree. Yes, Dow is best for Engineering and currently two engineering has high scope in Future. Electrical Engineering is further go for specialization in Power, Wind and Thermal Electrical field. On the other hand Electronics is related to all Appliances like LED TV, and all electronics thing like computer laptops and all necessary things. Electronics person should be hire by Samsung, Nokia, Apple and all other Electronic Companies. Electrical Engineering is hire by Engineering companies for the production of electricity. Finally, Chemical Engineering is best from all engineering and get more jobs then others. Yes, this university is too much better from all other engineering institute in Karachi. Lhr mn kn kn c universities spring admxn opn krti h…?? dear sir, i have got 73%marks in matric and 70% in fsc part 1. can i get admission in nust islm.. Yes, you get admission in NUST Islamabad if you get good marks in NUST Entrance Test. Your entry test marks will give you a good position in merit. which university is better for engineering NUST or UET? sir tell me plzz i got 57 percent marks in fsc now i have two options 1 software eng and 2 bba now which one is best?? plzz tell me 6 months hogay mjsy decide ni hora..
Dear Malik Sharyy, Software Engineering is far most best then BBA at this present senario. Software Engineering is degree in which you have work independently and setup your own software house. If you have pleasent skills regarding IT then you will king in this field. Apart from this if you go for BBA then its management degree and after BBA you will hire by the company at very low salary package. In addition, Software Engineering is far most best then BBA. Finally, my brother choose software Engineering either you go for BBA. Software should get high salary packages if he/she should have great knowledge, skills and abilities in Atomic Energy Commission, Pak Army, Pak Airforce, Pak Navy. Hope for best. sir numl universty islamabad mei software eng ky adm spring to spring season open hoty hai ya fall mei bhe open hty hai or software numl uni ki ksi hai?? zada best numl hai ya iiui uni? Both Universities offered Software Engineering programs in Fall/Spring Season. International Islamic University is best then NUML according to faculty. sir now in islamic uni isb ad open or close? Admission will be close from 31 Dec.
Dear, Rizwan your brother will eligible to apply on the base of FSC marks not apply on the base of BSc Marks. If he has 60% marks in FSC Phys, Math, Chem then he should eligible to apply for Petroleum Engineering. In Punjab all Public Medical College merit should be selected through UHS. So, it’s very difficult to find out Public Institutions which is not fall UHS. Secondly, if you apply in Bolan Medical Quetta then you have chance but admission will be closed now for 2014. Finally, Federal Medical & Dental College is the only institution which is fall under Federal Government when admission announced then we have updated on the website. are their any chances that fmdc would get their ban removed …should we take risk for our sister to get her admission in FMDC or would this university be closed in near future. In near future it should be possible to get admission open in Federal Medical & Dental College. But it’s not confirmed. National College of Arts is a superior college for those who have passion of Fashion Designing. You will be confuse in many fields Engineering Fields and Fashion Designing as well. If you go for fashion designer then you will get good placement in market with your attractive sample or designing. If you go for Engineering field then it need much more hard working very best job placement in future. Finally, in Fashion Designer you will survive at market if you have creative mind and give good designing sample to the people. Actually, Fashion Designer is best for you if you go for this field. Finally, I suggest you to go for Good Fashion Designer in future. sir mei bht confused ho mery marks fsc mei 59percent hai mje software eng mei adm milta hai ap kia maswhwara day gy mei improvemnt krky apny marks 60percent kro or telecom eng mei adm lu ya software zada best hai?? Finally, don’t go for improvement go ahead with positive mind and proceed your destination towards skillfull software Engineer. AoA! Sir, I have got 516/550 (by the grace of Allah) and will InshaAllah get near a total of 1030+/1100 in Matric (from Punjab). I am planning for Civil Engineering. Can you please guide me that how many marks in fsc are required and which institution is best for Civil Engineering.I am from a middle-class family so , can you tell me if that university/institution offers any scholarship? Thank u! Waiting for your reply. These universities are also offered scholarship. Yes, tell me question how can I help you? I have recommended three universities in our last comment. Fee of each university is different. All universities offered scholarships for needy students. So, you will apply for admission in these universities in Fall Intake 2015. If you gets good marks in entry test then you will easily get admission in these universities. These universities also offered HEC Need Base Scholarship for Needy students. sir tell me the scope of agricultural enginering in pakistan and abroad?? Agriculture Engineering is very vast scope in Pakistan and Abroad as well. Basically, Agriculture Engineering seek to work out in fields. So, it includes many departments in which agriculture engineering fits to works and implemented his plans for better agriculture in Pakistan or other countries as well. After completion of degree job placement for agriculture engineering relies in Government Sector, Design and other sectors of Agriculture. Finally, Agriculture Engineering has endless jobs if you good concepts regarding all portion in Agriculture. In abroad you will go for after experience of minimum 2 years. Go ahead for this degree and hope for best. Good Luck. sab se zada scope pak me kis engenering ka h?? I have suggest you these three engineering ranking wise. mery 75 per marks han fsc me n 80 in matric kia mera uet lahore me petroleum me nam a skta h n ajay toh kar lon??? Yes, you will go for Petroleum Engineering if you get admissions. Petroleum & Gas Engineering is one of best engineering field from all others. ist ki best engenering konsi h is wakt??? n civil bs civil krwa ri h ist?? ist ki best engenering konsi h is wakt??? n bs civil krwa ri h ist?? These two engineering are known best offered by IST Islamabad. Secondly, CIVIL Engineering is not offered by IST Islamabad. Both engineering I have mentioned above has a good scope in future. AoA! Sir, I have interest in both chemical and electrical (power) engineering so which one is the best and good scope in Pakistan as well in foreign country.I complete my F.s.c in 2014 and got 76% and in matric 67% due to some problem I can’t take admission in 2014, Now i want to take admission in this year and plz sir tell me the list of top 8 university which doing this engineering I am really need your guide because I am from skardu (siachan) I have no any body to get good guide. Plz sir I am waiting for your reply thank. Dear, Zeeshan its depends on your interest I thick you will go for SOftware Engineering from Bahria University Karachi. This degree is known best and very helpful in future for who have skills if you interested in IT. Because IT is much more complex and want to much hard working on computer codings. Apart from this, if you are not go for IT than go for Electronic Engineering. Finally, decision is yours either you go for which field. and comsats isb m kitna merit h Arct ka? For Admission in Architecture you must have 60% marks in FSC. Which uni is best for Arct?? NUST University is known best for Architecture. After FSc you will eligible to apply in PMA Long Course. Secondly, you also apply for Engineering Core. Superior university is best for Aviation, Engineering Programs and For IT. In Medical Superior is also getting prominent rank. Superior is university is best in Quality Ever. Superior University rank good in Aviation Field most than Engineering and IT. Aviation is one of renowned field and there are lot of opportunities in future. tcc long course kb ay ga? Nca m test dyna hai entry m kitne % lyna zaroori hai ? sir aoa civil eng sargodha uni ki kasi hai and kb adm open hogy bs civil eng ky sgd uni mei and eligibility criteria kia hai ?? Civil Technology is offered by University of Sargodha. You must have 60% marks in Fsc for getting admission in UOS. sir comsats lahore or comsats islamabad mein koci uni… software engg.. k liye best hai…. Mere 608 marks ha pre medical ma muje kia krna cheya.kon c university ho business ka lea Jo expensive b na ho. how much marks needed for architecture engineering? If you want to get admission in Architecture Engineering than you need to obtained 80% marks in FSc and Entry test both for reputable university. thanx sir now in these universties admission open? Admission open in the month of June/July. please tell me which one is best? Textile Engineering from NTU-FSD is known best field for you. Future of textile engineering is very broad and you have lot of opportunities to groom himself in this sector. Finally, I suggest you to go for Textile Engineering from NTU-FSD. sir is Textile a good field for girls? iam waiting for your reply…. Federal Board is known best if you continue your study for FSc. sir fsc main agr nmbr thoray agy tho pre engenering main tho agy phir board ko daikhthy hain ya nmbr? agar pakistan merit na bna tho pakistan sy bahr kn c country best ha engenring k liay? Sir, i have 951 marks in matric and 830 marks is Fsc,Can i secure my admission in UET? how much marks do i need to get in ECAT test to make sure that i get admission into any kind of engineering from Uet? If you proceed study for FSc Pre-Engineering than it’s good for you in future because FSc Pre-Engineering leads to lot of options in BS. Alternatively, ICS student only appear for IT Degrees and other science subjects degrees. Finally, I suggest you to go for FSC Pre-Engineering with positive mind. sir after fsc bba kr skty han and engenering zada better ha ya bba?? If you go for Engineering than it’s better for you. But it’s depends on your interest engineering is quiet tough than BBA. If you feel ease to proceed study in engineering than go ahead. Yes, you can eligible to apply for BS in Accounting. Fall admission expected to announce in the month of June/July. Salam sir, can you please tell me which university is best for Electrical engineering? and is Mechanical dept of Karachi NUST good? NUST known best institute for Electrical or Mechanical Engineering. If you well prepared the FSc Books than you can easily pass the entry test. Which options does a women have after doing F.Sc pre-engineering? Please do tell me while considering the employment chances in next 5 years. Well…. i am a little confused… which one do u prefer like Mechanical or civil engineering ?which one has more scope both in Pak and abroad ? and which University is the best NUST..LUMS…UET or some other ? Dear, if you go for Civil Engineering than it’s best choice for you. 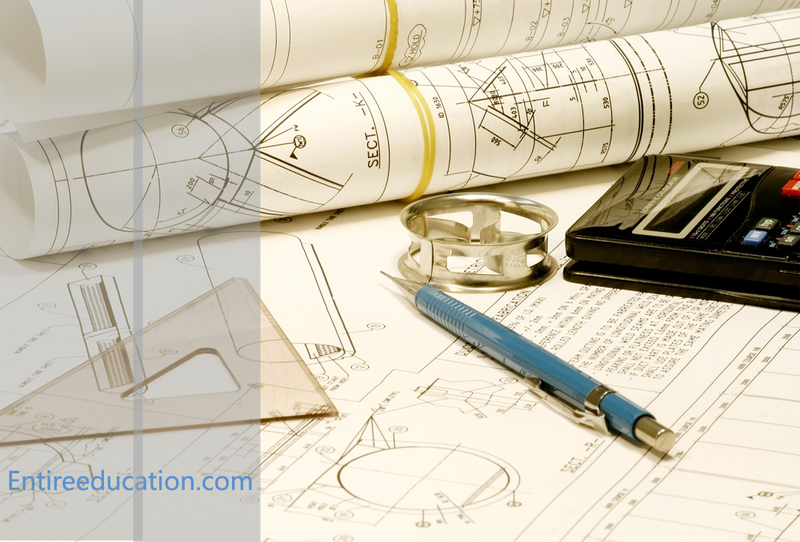 Civil Engineering is known best and give you a good future in Pakistan and Abroad as well. Secondly, NUST and UET both are known best for Civil Engineering. sir I got 74% marks in part !. Now I get admission in IST???? Yes, you can eligible to apply for admission in IST Islamabad. You need to obtained good marks in entry test. Currently, admission announce in IST. Admission dates updated on the website. i have done my diploma in chemical engineering i have got 70% marks in dae chemical engineering i wish to get admission in bsc chemical engineering kindly guide me which university will more suitable across pakistan in my situation. sir i got 447 marks in f.sc(pre engreening) part 1 and i want to get admission to UET LAHORE which engreening is best for me and what should b my target??????????? Chemical Engineering is known best in future. This engineering has vast scope and quite different from all other engineering’s. Finally, I suggest you to go Chemical Engineering. Which has best scope in Pakistan and Abroad both. It’s all depend on your interest. But Management and IT these two fields known best for girls. Secondly I cannot understand that in which field Mechanical Engineering or Computer Science ,I have more interest. Sir i want to get admition in comsats islamabad in BS(SE) . N i have 49.27 marks in fsc (pre eng). Sir is it possible or not if it’s possibl then plz guid me… I’ll be thankful to u.
please tell me about the scope of telecommunication enggineering in pakistan and all over the world. sir now in szabist islamabad universty bscs admission open or not? and iqra universty ki software enginering kasi hai ? What about BS in MECHATRONICS in future?? sir mery D.A.E civil ma 67% number ha kua mujy civil ma admastin mil sakta ha? Sir, I got 71 marks in Nts and 82 % in fsc and 79 % in matric. Can I get admission in mechanical engineering in ist? Although civil engineering has best scope in future due to CPEC impact in Pakistan. And you ask for salary or future, in my opinion future based on your skills related Civil. Firstly try to understand what you can do? civil or electrical or BSCS. Than i will suggest you best university related program. I got 90% in fsc part 1 which uni is best for me after appearing ecat & nust test if i clear both test uet is best or nust is best? Kia mera comsats wah mn admission ho jy ga civil engineering mn..? Can I apply for NET-1? ASSALAM O ALAIKUM! I have got 86% in fsc part 1.I want to know about scope of architectural engineering in Pakistan and other countries. what are the jobs opportunities? Which university should be prefer for architectural engineering? Civil Engineering demand tuff time to be a success. As compared to NUST UET Lahore is best for both degrees. Sir which engineering has best scope in pakistan civil or mechanical engineering.I want to do civil engineering.Is it better than mechanical engineering. which uni s best for mechanical engineering?